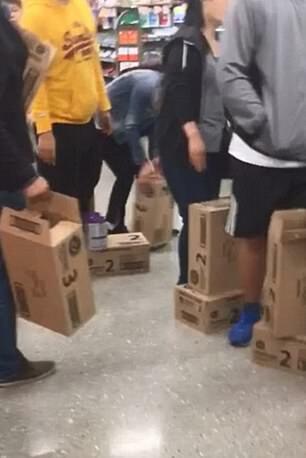 Dozens of Woolworths shoppers have been filmed jumping over one another in a desperate bid to get their hands on tins of baby formula. 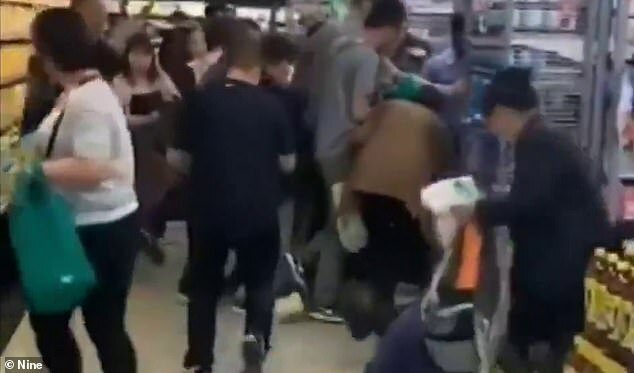 The aisles at the supermarket’s Box Hill store in Melbourne’s east this week resembled a mosh pit as about 30 Asian shoppers tried to shove their way to the front of the queue. 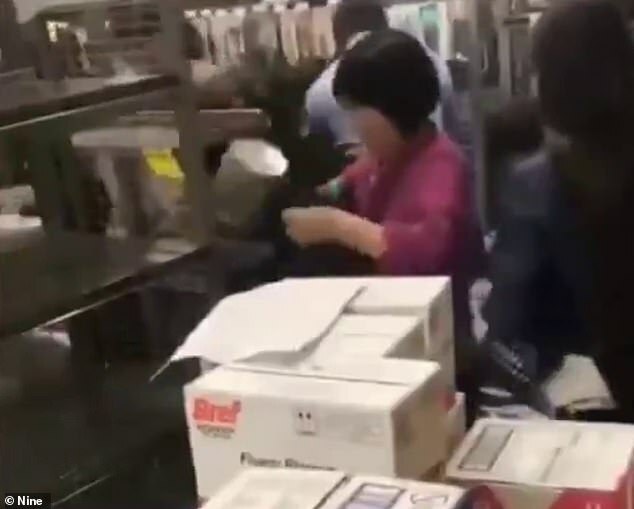 Footage showed a woman and an elderly man being pushed to the floor as customers scrambled to get to the shelves before the product sold out. 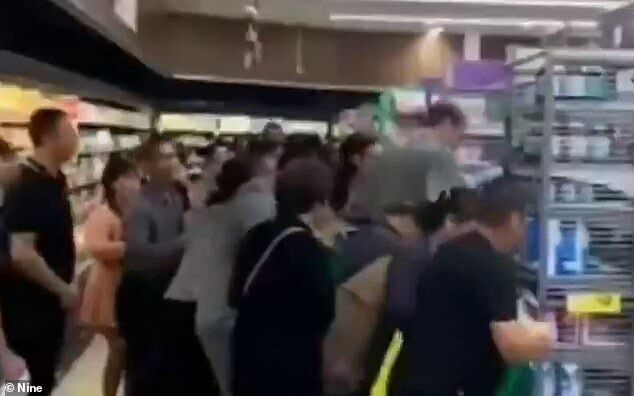 Woolworths slammed the customers’ behaviour as ‘clearly unacceptable’ and threatened to ban them from entering its stores. ‘The team moved quickly and withdrew the stock from the aisle,’ a spokesman for the supermarket told Daily Mail Australia. 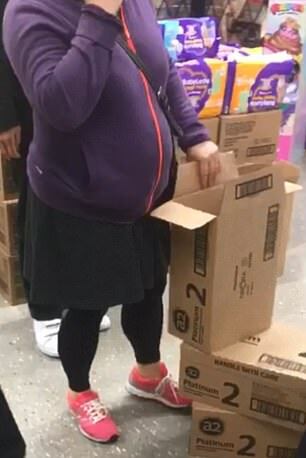 The incident comes less than a month after a shopper at the same store described the ‘chaos’ that ensued when staff dumped boxes of formula in the aisle and ‘let customers help themselves’. ‘They cleared everything in a few minutes and when I asked the staff member if I could get a tin he told me there was none left,’ the shopper told 3AW last month. In November, another shopper told the radio station several customers were defying the supermarket’s two tin limit at the Box Hill store. ‘There’s a security guard there who checks off that they’ve got two. Then they’ll run out to the car and come back and do it all again,’ they said. The previous month, shoppers were seen at the same supermarket lining up for more than an hour waiting for baby formula to be stacked on the shelves. ‘Some in line were sitting on products that had been placed on the floor layouts, leaning on the shelves and making themselves at home waiting for this stock that might not even be put out,’ a witness told Ten Daily at the time. 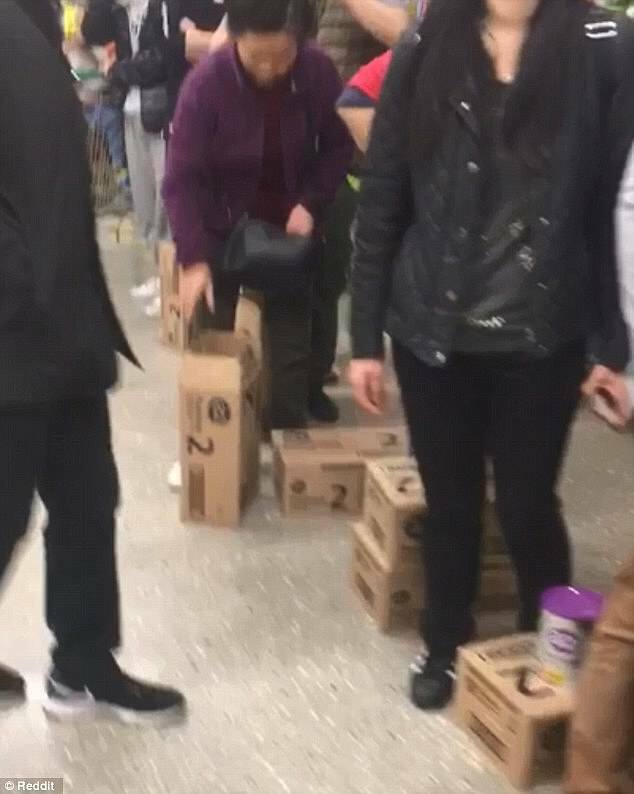 Meanwhile, at least three customers could be seen purchasing two tins at Woolworths’ Doncaster store last month, before placing them in a pile near the supermarket entrance and immediately walking back inside to purchase two more. A Woolworths spokesman told Daily Mail Australia at the time baby formula stock availability had not been affected by the incident. 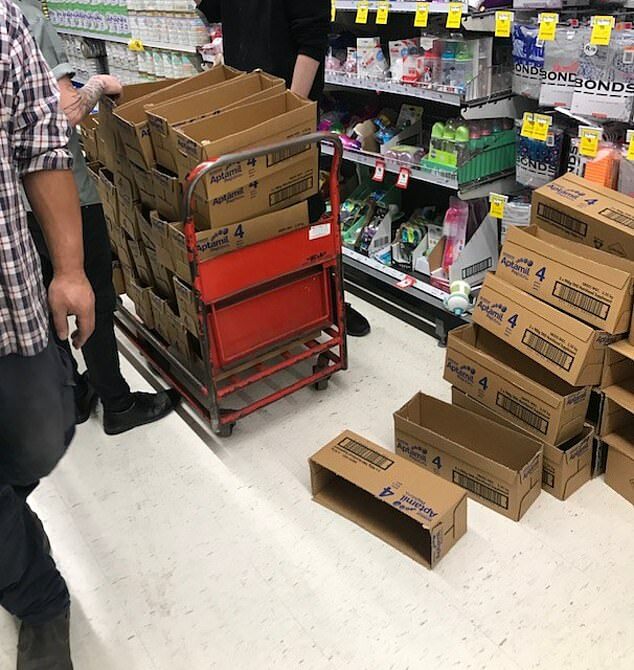 ‘We have a two tin transaction limit on baby formula in place and our store teams work hard to ensure customers have access to stock when they need it,’ they said. ‘Baby formula stock was readily available to customers at our Doncaster East store. Demand for Australian brand formula has surged amid a massive growth in daigou shopping – a method where people buy products and re-sell them for an inflated price overseas, commonly in China.